This is one network that I wanted to clean up for a while. The problem is that every time I went to this customer was close to the end of the day and everyone wanted to leave the office. 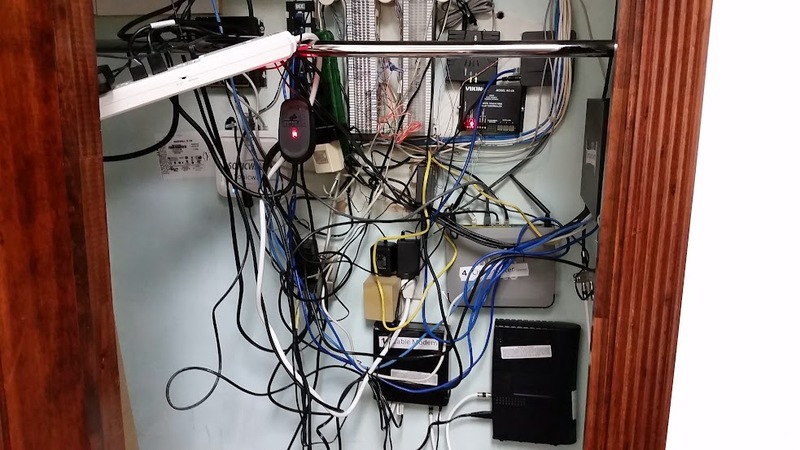 Finally they had issues with their network, and I attempted to troubleshoot the issues within this mess. I was semi-successful, however I advised them that I would need to come down at a time that I could disconnect the entire network to resolve all of the issues that they were having. They agreed to allow me access after hours today so that I could repair all of the issues that they had on their network. As small as this network is it actually took a while to get things neatened up. 3 hours actually. 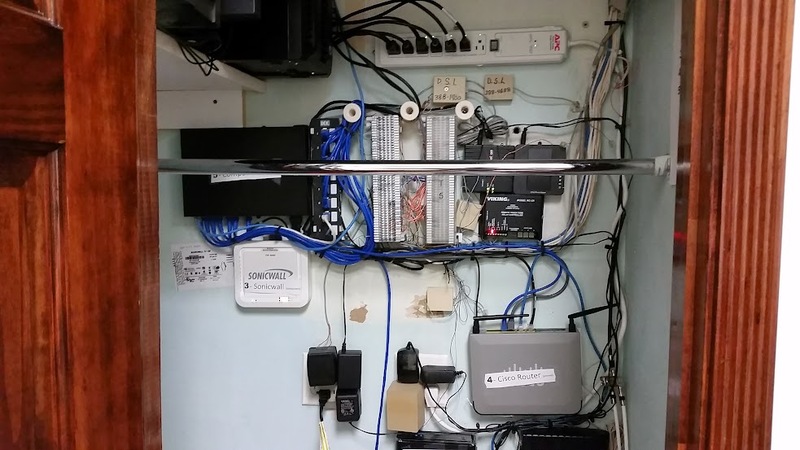 There was an old unused PBX system (unfortunately cut out from the before photo) located above the 66 blocks. I removed that system, and removed the old MoH player. I moved the 16 port switch from the side wall to where the old MoH player was located. I mounted one of the surge protectors, and one surge protector was able to be removed completely (several unused plugs, the PBX and MoH systems no longer needed power). I replaced all of the patch cords with shorter wires, and routed everything as neat as possible.